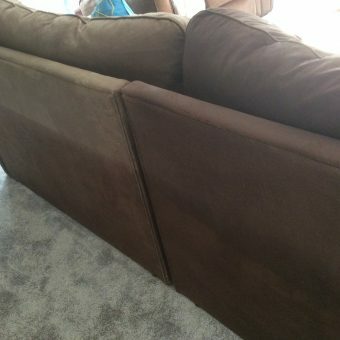 Our sofa had faded on the back top due to that part being in the the sunny window. We used the saddle brown large fabric spray. 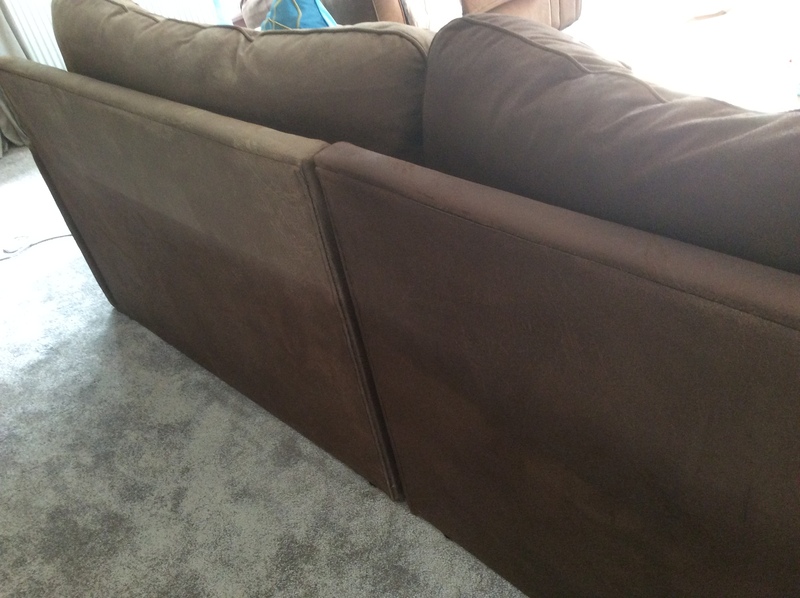 You can see that one side of the sofa has been given one coat and this used one large spray so I will need to order some more to give it another coat, but it’s already made a real difference and is looking really good. This entry was posted in User Projects. Bookmark the permalink.